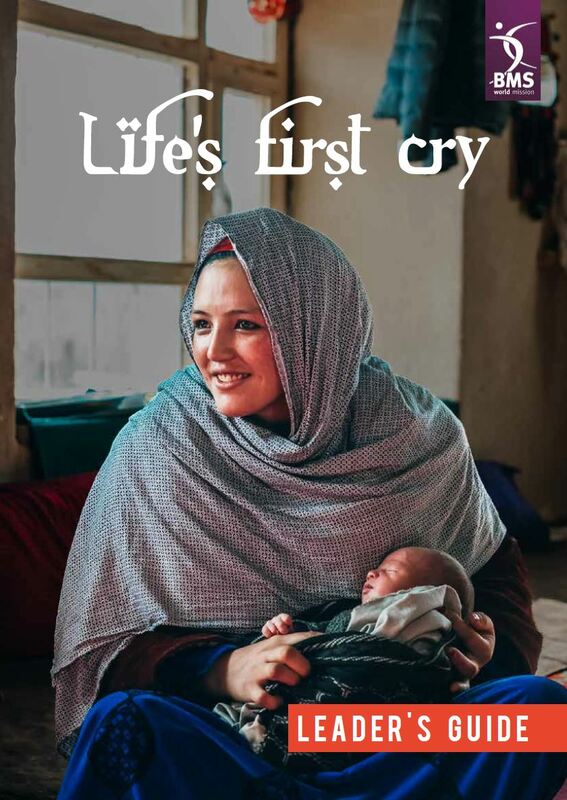 Transport your church to remote villages in Afghanistan’s mountains and meet people who are alive because of your gifts to BMS by ordering a free copy of the Life’s First Cry DVD. 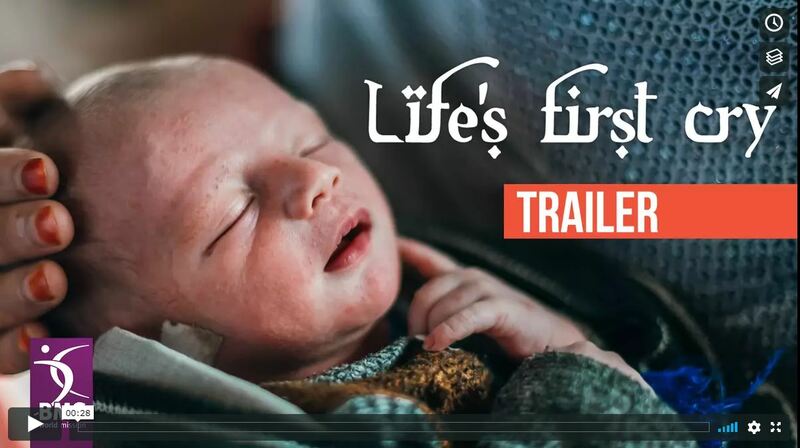 It contains the moving feature video (including Welsh, subtitled and British Sign Language versions), the reflection video and trailer, as well as loads of resources to help you run a great Life’s First Cry church service. Access PowerPoint-ready files on the disc via your computer and play in any standard DVD player. 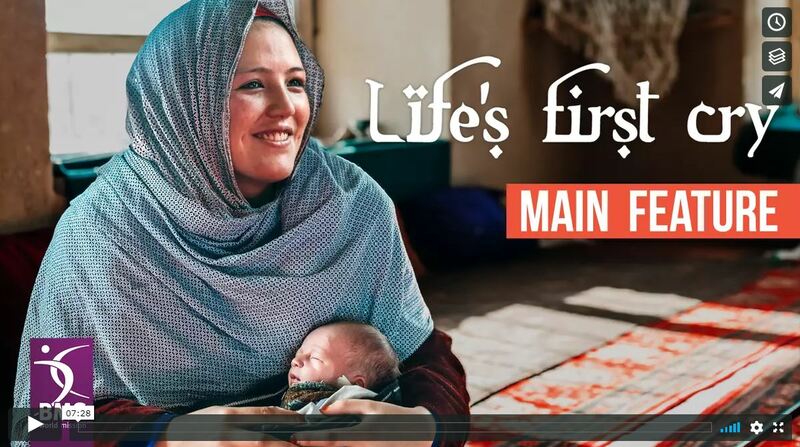 Mothers and babies are dying in Afghanistan. 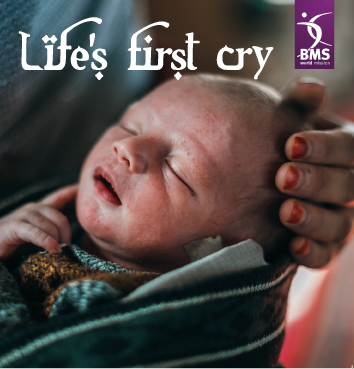 Come with us to meet families in remote mountain villages and discover how, when you give to BMS World Mission, you can save lives. This is the main feature video and is perfect to play as part of your Life’s First Cry church service or fundraising event. 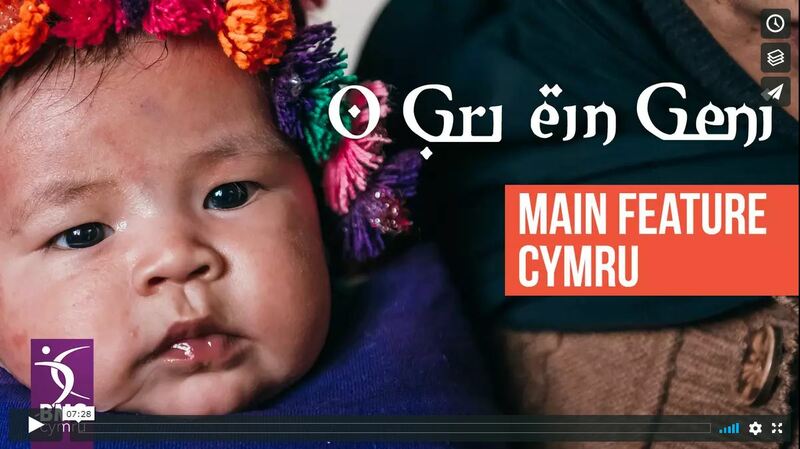 This video is also available in Welsh, with subtitles and with British Sign Language. Planning to run a church service or event to raise money for Life’s First Cry? Thank you! Our Leader’s guide is the perfect place to start. As well as listing all the available Life’s First Cry resources, our Leader’s guide is full of service ideas and inspiration to help you fundraise. It also contains a sermon outline. Take a look! 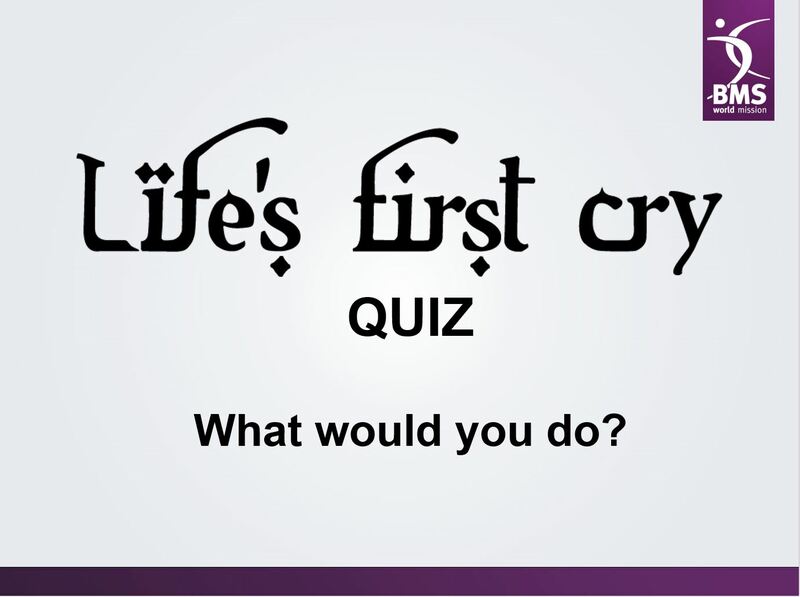 Play this 30-second video in your church and share it on social media to promote your Life’s First Cry event. Together, we can get more people supporting BMS’ life-saving work in Afghanistan. 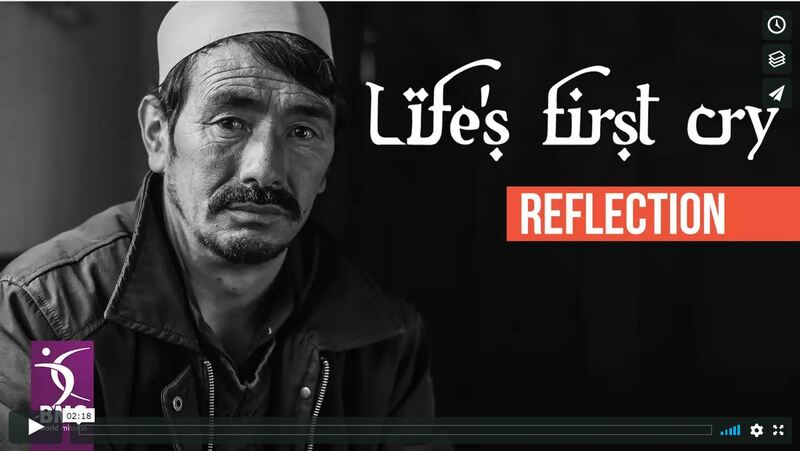 Featuring a beautiful poem by Lucy Berry, this short reflection video is perfect to show your church when you take up your offering for Life’s First Cry, after watching the feature video. 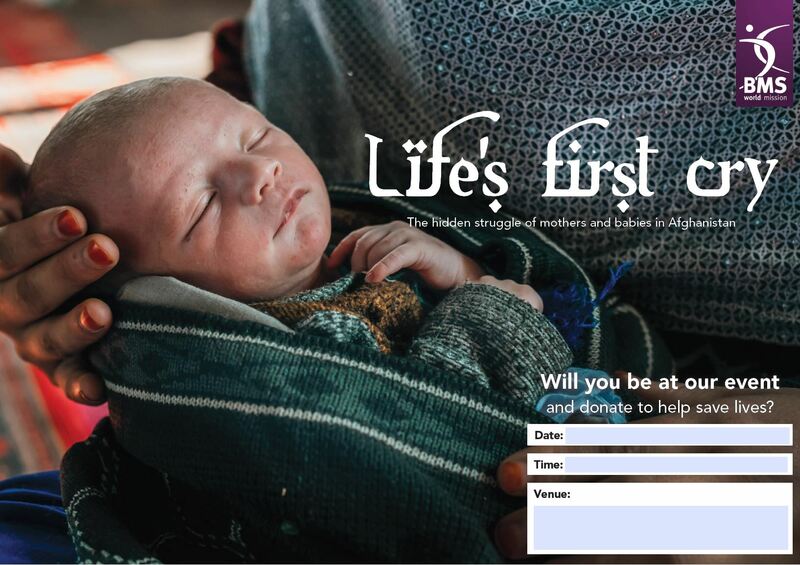 Challenge your church to think about what it would be like to give birth in remote Afghanistan using our interactive ‘what would you do?’ quiz. We think they’ll enjoy the experience – and learn, too! Details for how to run the quiz can be found in the Leader’s guide. Download or order a copy of this beautiful A3 poster to advertise your Life’s First Cry event. It contains a picture of 12-day-old Umed, who is alive because of your support for BMS. Order gift envelopes (order per pack 25 envelopes) to make giving (and Gift Aiding!) 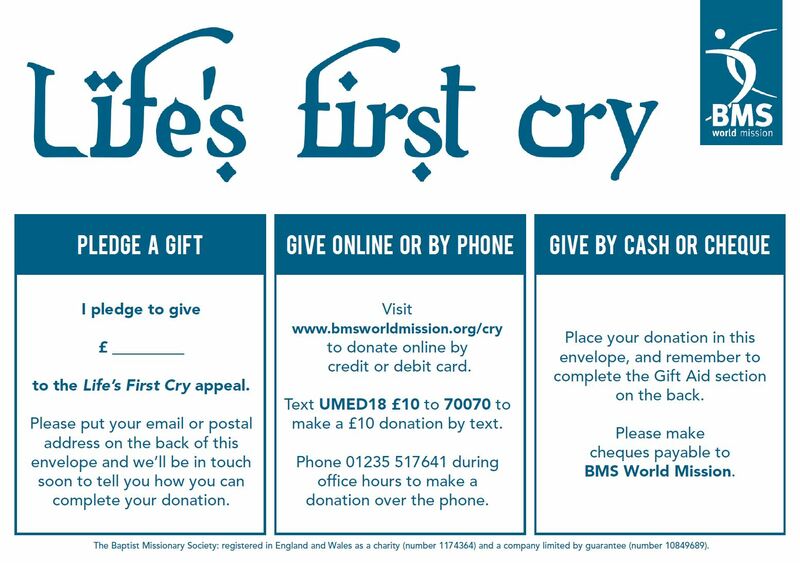 to BMS’ Life’s First Cry appeal easier. Pass them around or place them on seats at your Life’s First Cry service, harvest supper or event and encourage people to donate to the work of BMS in Afghanistan and around the world. 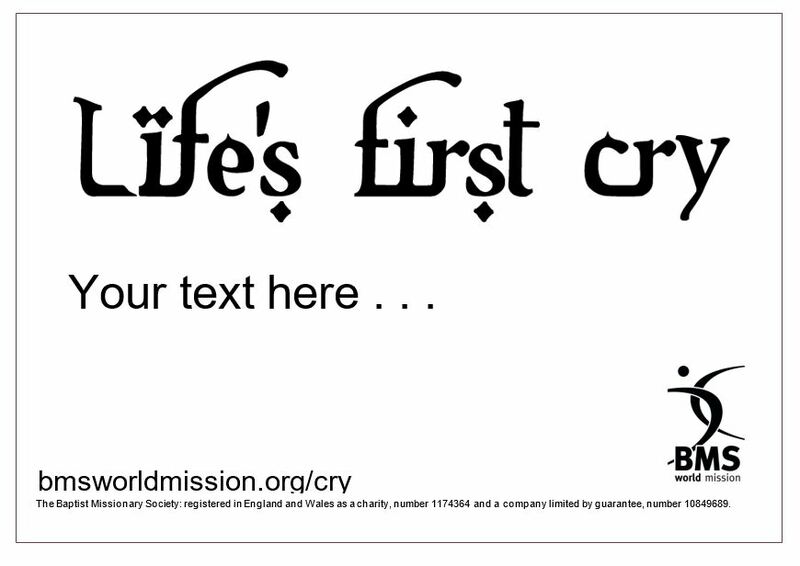 Use this advert to promote your Life’s First Cry event when designing your church notice sheet.